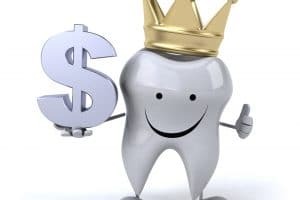 What is the Dental Charge? The dental charge is the fee you pay to the NHS dentist for dental treatment. There are three bands and they are all increasing by 5% as of 1 April 2016. For band 1 treatment, such as a clinical examination, x-rays, scaling & polishing, preventative dental work such as hygiene instruction, you will pay £19.70 up from £18.90. For band 2 treatment such as fillings, extractions, some surgical procedures you will pay £53.90 up from £51.30. For band 3 treatment such as Complex treatment which includes a laboratory element such as crowns you will now pay £233.70 up from £222.50. No. NHS dental treatment will remain free for those under the age of 18, those under the age of 19 and receiving full-time education, pregnant women or those who have had a baby in the previous 12 months, and those on qualifying low income benefits. If someone does not qualify for these exemptions, full or partial help may be available through the NHS Low Income Scheme.